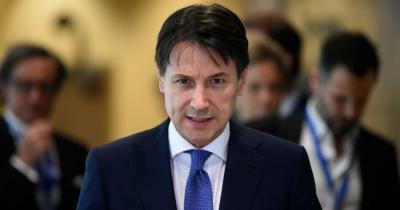 ROME – Italian Prime Minister Giuseppe Conte has failed to deliver on one of his campaign promises as he said last weekend that the Trans Adriatic Pipeline (TAP) could not be halted, according to sources. On Friday, Conte gave a speech to local mayors, in which he said it was impossible for the construction of the TAP to be stopped, having done “everything we could”. This was followed on Sunday by an open letter to the people of Melendugno, a region of Puglia that will be heavily affected by the pipeline, writing “if there should be fault, attribute it to me,” after Pugliese members of parliament had received unwarranted criticism, in Conte's view, about the project. The pipeline, originally proposed in 2003, will transport natural gas from reserves in Azerbaijan across Southern Europe, through Albania, Greece and Italy. The Italian government confirmed their political support for the project back in 2012, before signing an intergovernmental agreement with Greece and Albania in Feb. 2013. Since their political influence has increased, the Five Star Movement opposition to the project has, however, kept TAP on hold for a number of years. TAP has also been met with a huge deal of local criticism, particularly in the region of Puglia, through which the pipeline will run. In order for the project to be realised, construction of a gas terminal in a historical olive grove Melendugno is required, which would see the century-plus-old olive trees transported to other locations, an operation that cannot guarantee their survival. The locals have strongly criticised this plan, some citing environmental concerns about the uprooting of the olive trees. Further concerns have been raised by locals and environmentalists about the pipeline’s landing point on the Italian coast. The natural gas will be piped just 10 metres under the hugely popular San Foca beach, which will remain completely open to the public. Though attempting to address these concerns in his open letter, the Prime Minister instead seemed to be more focused on justifying his decision on economic grounds, writing that “it would be disastrous” for Italy to stop the pipeline, as the government would then face legal “disputes” which could amount to anywhere between “20 and 35 billion euros”. “We have done everything possible to meet your requests…to stop the construction of the TAP project,” he wrote to Melendugno residents. “I said the other day [in reference to his speech on Friday] that the time has come to stand up, and I am doing it myself, on behalf of the government,” Conte continued. However, words will surely not suffice in attempts to placate those who are staunchly in opposition of the project.